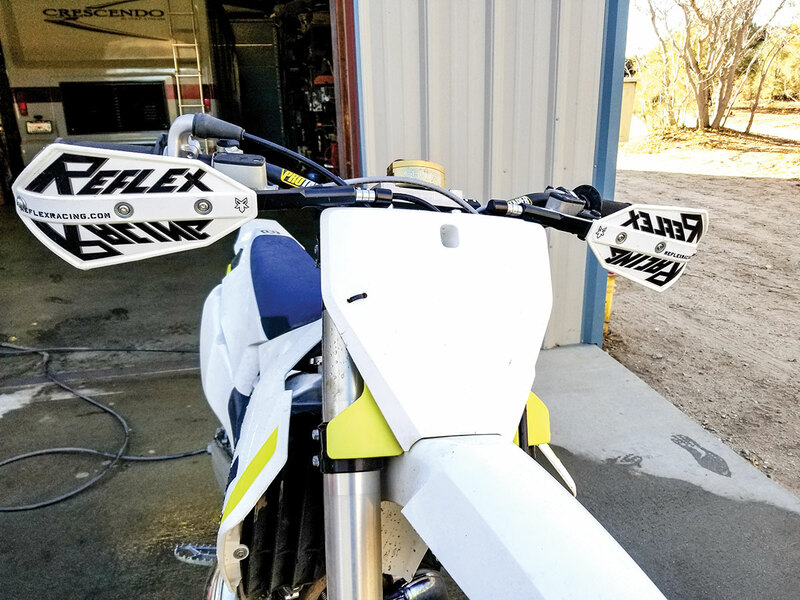 OUR TAKE: The Reflex handguards are a cable-mounted flexible guard. They have an interesting frame that turns into a piece of pliable 3/4-inch cable near the end. 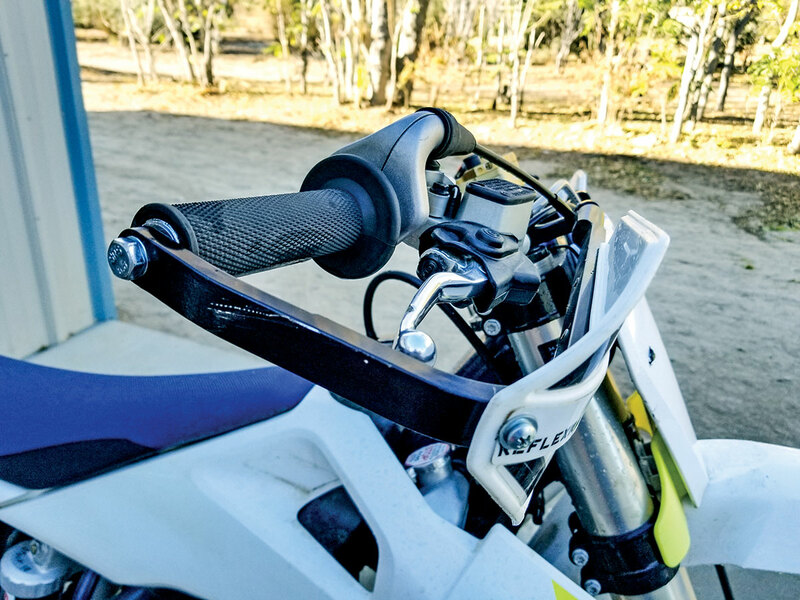 It retains handlebar flex and has some moderate give and movement in them for placement on the bar. Inevitably, when mounting a solid-mounted handguard, once it’s all cinched down, nothing quite lines up. With the Reflex guard you can move it about an inch up and down through the cable flex. 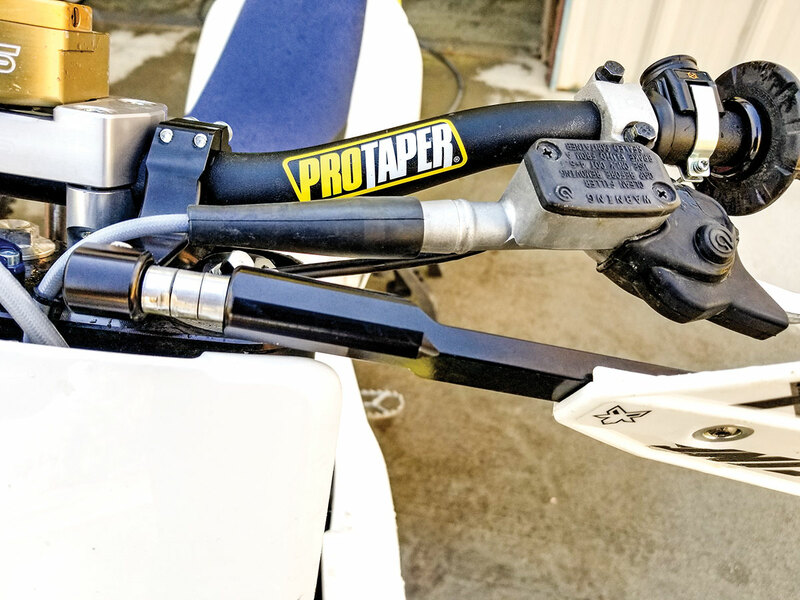 The 3 inches of cable is clamped into the recessed guards with a set screw, and you can adjust how wide or narrow the guards sit, allowing excellent adjustability for any bar widths. The pros are flexibility in bars, actual movement range on impacts and they’re very easy to mount up. The cons are they tend to droop a bit, and on our Husky TC250, we had to fit on a clutch cable protector, as it got rubbed raw at the cable mount point. But the bottom line is that they install better than any full-wrap guard on the market, they rotate and flex when you fall and then pop back into position easily, and they ward off direct blows quite superbly.